With increasing economical investments in flood prone areas, flood risk management is a hot topic in many deltas and lowlying areas around the world. 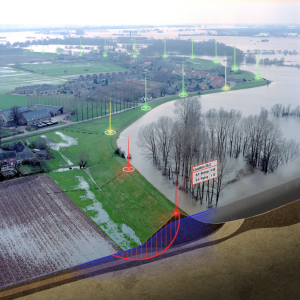 With ever changing climate, public acceptance of risk, changes to the built environment or to the levees themselves, dike and levee managers face the challenge of continuously evaluating their levees for different scenarios. 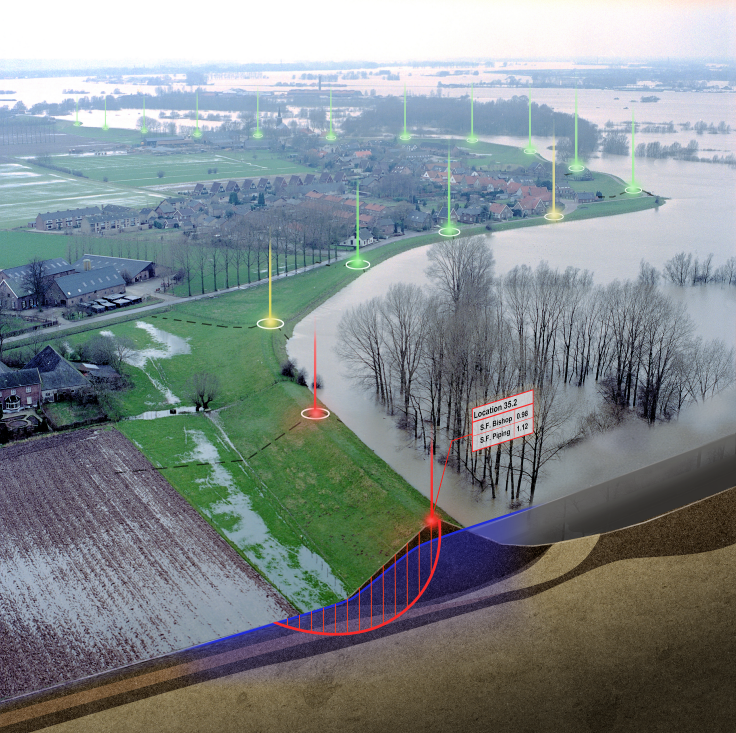 However, for most extensive levee systems this evaluation can be costly and time consuming. DAM (Dike strength Analysis Module) is a software package for the automated calculation of the strength of dikes. DAM was developed by Deltares with and for STOWA for all water authorities. DAM is used to calculate the strength (now and in the future) of primary and regional dikes, for example the purposes of assessing regional dikes and drawing up ledgers. There are four distinct stages in the analysis of dike strength. These stages are always completed, regardless of the type of question. The first stage involves collecting basic data. The basic data are the raw data from land surveys, and geohydrological and soil mechanics research. The second stage involves the schematisation of the data and preparing them for calculations. Schematisation depends very much on the question. In addition, the more information there is, the more precise the schematisation. 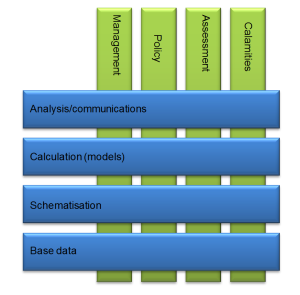 The third stage consists of the calculations. The final stage involves analysing the results of the calculations so that the results can be visualised and communicated. The latest version of DAM (18.1) is available for download via this link.